My new favorite writer is a contemporary Scot named Ali Smith. I read four of her books over the last couple of months, then made myself take a break. Now I’m having Ali Smith withdrawals. It’s fitting for the title, but I came across The Accidental accidentally. My latest contribution to the Words That Work column in Flagstaff Live tells the whole story. The link seems to be dead, so I’ll include the text of the review below. I usually have an internal compass that directs me to independent bookstores in unfamiliar cities. It leads me to neighborhoods where I can find pizza by the slice, art house theaters, mom-and-pop coffee shops, cafés with vegetables on the menu, and pubs that serve local beers. For some reason, my compass was off while I was in Edinburgh. I found pizza by the slice. I found pubs and independent coffee shops and even a vegan restaurant in the basement of an eighteenth-century church. But I could not find an independent bookstore. The situation was serious. I had a twelve hour flight the next morning. The only bookstore I could find was Waterstones, which is a giant UK chain. I wasn’t ruling out Waterstones completely. Since they carried almost the exact same books I’d find at the Barnes & Noble on Milton, I made them my last resort. I was looking for something more in line with Starrlight: a place where I could stumble across something new, something local, something unique. After a few hours of circling the city, I passed a park full of tents. Edinburgh was alive with festivals that weekend. I figured I’d check out every one I stumbled across. I wandered to the front of the park only to find that the tents belonged to the Edinburgh International Book Festival. What luck! Even luckier: that’s where I discovered Ali Smith. Among the racks of books for sale was one dedicated to Scottish authors. Down on the bottom were a row of books with funny titles like Other Stories and Other Stories and There But For The. I picked one called The Accidental. Or, to perhaps describe the feeling more accurately, it picked me. I am Alhambra, named for the place of my conception. Believe me. Everything is meant. The Alhambra of the novel is in her mid-thirties. She becomes entangled with the Smart family, who take her into their Norfolk summer home. The Smarts are fairly well-heeled. Eve Smart is an author who has recently gained commercial success. Michael Smart is a professor at a prestigious London university. The Smart children, Astrid and Magnus, are on their way to their own cushy lives. Just below the surface of this picturesque life lives each of the Smart family secrets. Alhambra reveals them all in time. Throughout the book, I was never really sure what Alhambra’s motives were or why she was putting up with the Smarts. The Smarts all seemed to come alive as a result of her presence, but she seemed only moderately annoyed with them. I had the feeling that she was, in some way, a con woman. I couldn’t figure her angle, though. On the larger level, The Accidental seems like a con. The writing is so smooth. The events move at the speed of a slight-of-hand trick. I tried to find the red queen within the Three-Card Monte, but it was forever illusive. And when the trick was revealed at the end, it felt like a light bulb exploded in the back of my head. 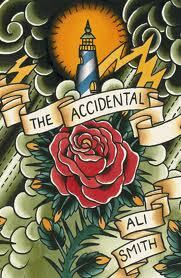 Reading The Accidental felt like the first time I read Mark Twain’s “The Celebrated Jumping Frog of Calaveras County”: I knew the author was toying with me, but the game was so fun, both for me and him, that I willingly went along. Now, I’m hesitant to tell Americans about Ali Smith. I feel like she’s a hidden literary gem. She’s all mine, right now, a personal pleasure that I don’t have to share with anyone because no one is talking about her. At least not here. In Scotland, she’s a major talent. Here in the States, she’s an explosion waiting to happen. We can read her without the taint of a bandwagon. But we have to do it soon. The bandwagon’s surely coming. We’re deep into the Major League Baseball playoffs, my local team is struggling for their lives, and, sadly, I’m not that interested. I was a huge baseball fan when I was a kid. With every year, my interest seems to wane a little more. The one publication that has retained my interest in the sport is Zisk. 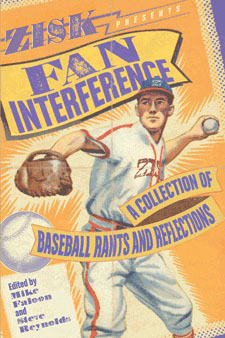 Zisk bills itself as the “baseball magazine for people who hate baseball magazines.” You could end that sentence one word early and it would come closer to how I feel about the magazine. If you’re interested in ordering the book, you can get it directly from the publisher or from Atomic Books in Baltimore. It’s also available on Amazon. I went to the UK a couple of months ago, but I didn’t get around to uploading any pictures to my computer until today. 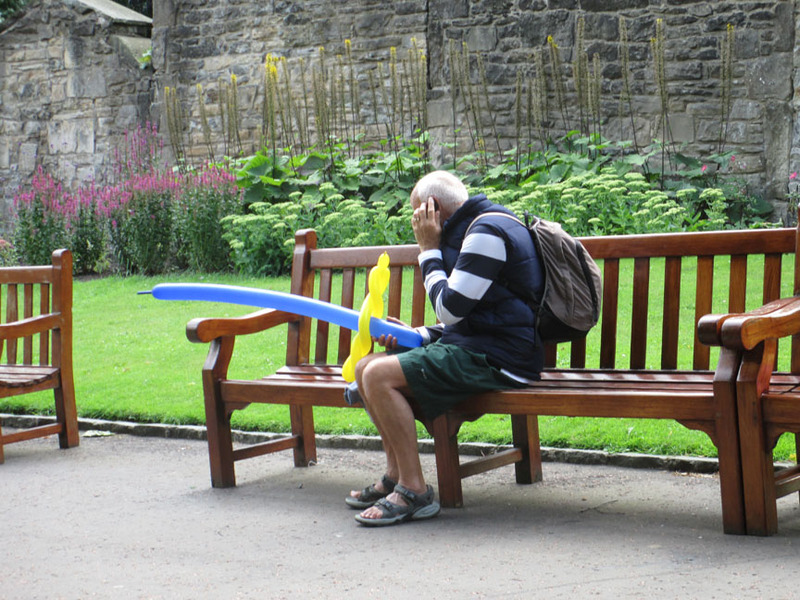 Of all the things I saw over there, this guy in an Edinburgh park was the most curious. 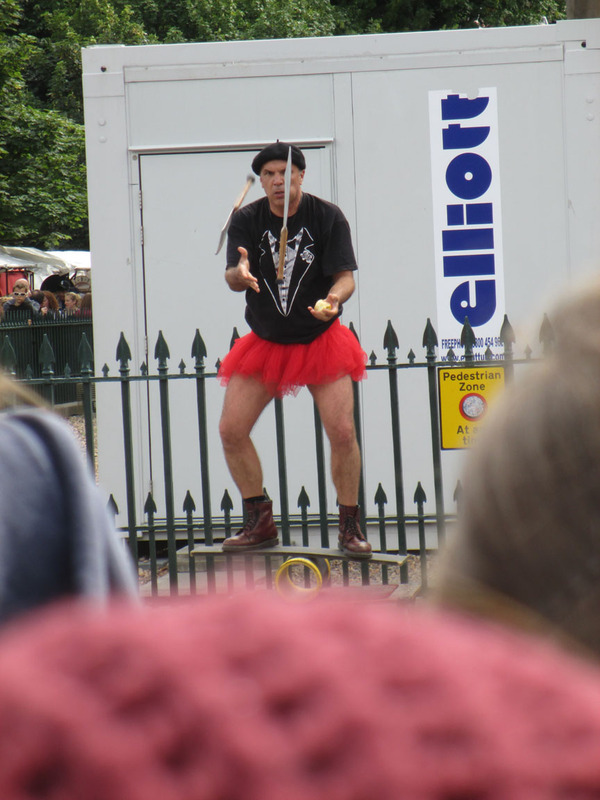 I walked for another fifty yards or so, then saw this juggler. I wonder if the two are connected. A friend of mine from Florida, Replay Dave, had a daughter this summer. She was born right around the time Madhouse Fog was released. Obviously, she’s too old to really understand language or read herself. Still, Replay reads to her every night. He’s set up a bookshelf in her room. He sits in the rocker next to her crib and reads her to sleep. 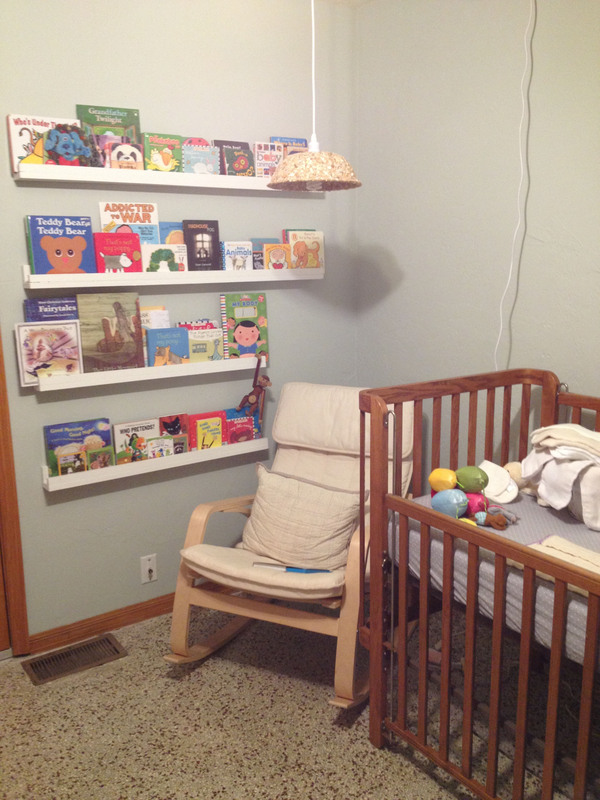 Recently, Replay sent a picture of that bookshelf and the books he’s been reading to her. I think my favorite one is on the second shelf from the top, right in the middle. It’s three books down from Teddy Bear, Teddy Bear and just to the left of Baby Animals. That’s right. Your eyes don’t deceive you. Replay is reading my nightmares to his infant daughter. I take no responsibility.